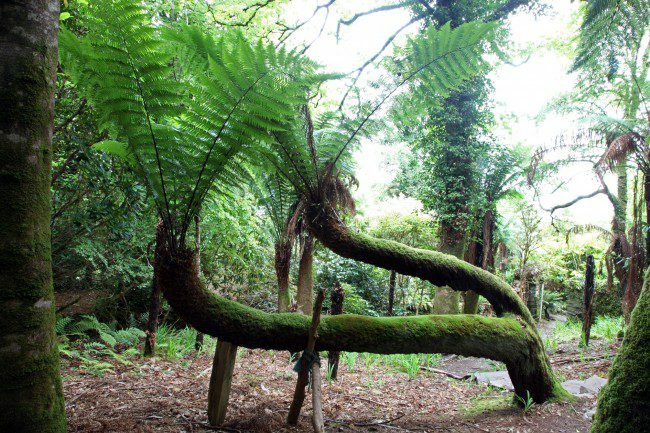 The Primeval Forest, the undoubted centrepiece of Kells Bay Gardens, is an extensive collection of tree ferns. Many of these ferns were planted in the mid-19th century after being brought over from Australia. They have adapted to and colonised their new home so completely that Antipodean visitors feel at home there. To see the Primeval Forest, take the Red Walk through the Ladies Walled Garden and this will naturally lead you through to the Primeval Garden. Don’t necessarily follow the way makers as there is so much to see here. Once again there were losses of some of the more exotic tree ferns, primarily Cyathea species, in this area in the winters of January and December 2010. Thankfully the huge stands of massive trunked Dicksonia antarctica came through unscathed. 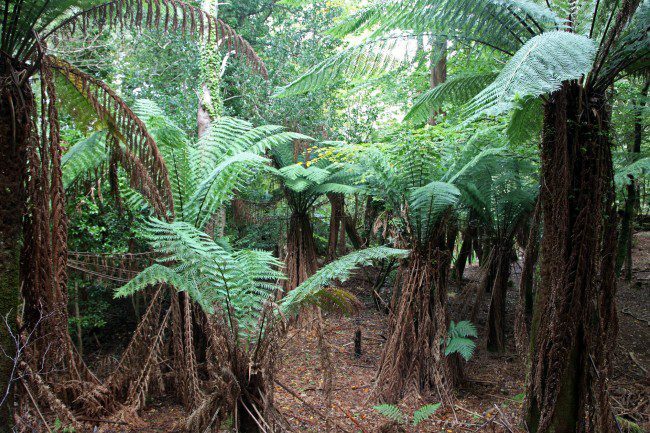 Other ferns worth noting are Dicksonia fibrosa, Blechnum discolor, Blechnum fluviatile, Blechnum nudum, Blechnum tabulare, Polystichum vestitum, the epiphytic fern Microsorum diversifolium, Lophosoria quadripiannata amongst others. However the most impressive of the ferns in the Primeval Forest has to be the stand of Blechnum magellanicum a wonderful Chilean species. To locate most of these plants, please visit the plant database.